7866 Fareholm Dr Drive, Los Angeles, CA.| MLS# 19439846 | Southern California Homes for Sale. Search properties Southern California. Best value in the Hollywood Hills, priced like a bank owned property. This one of a kind magical & bright 4 bedroom home built in 1987 has great bones with large grand rooms & approx 3608 s.f. to use to your imagination to update & to create your own custom modern masterpiece. One of the best cost per sq. footage values in the hills. 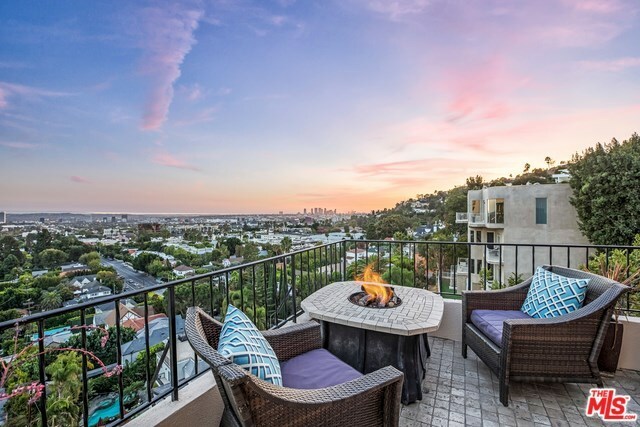 Unobstructed 240" city views from downtown LA sweeping over to the ocean.This lower hills estate defined by its volume, natural light, facing exactly the desired south on its own point, is only 2 blocks from Hollywood Blvd in celebrity pocket. Dramatic loft like entry w/ picture windows & inviting vistas. The centerpiece LR w/ high ceilings & walls of glass looks out to great city views & opens to a wrap around balcony. Lower level is a self contained GUEST QUARTERS with its own separate entrance, mini kitchen, laundry, dry sauna & steam shower currently bringing in approx. $45k as vacation rental (Short term rental between approx $3500 to $4200 a month. Directions: Take Orange Grove Ave. (which is 1 block east of Fairfax Ave.) north of Hollywood Blvd. Make left on Fareholm Dr.